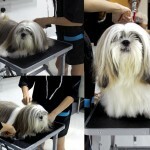 There are many benefits to pet grooming than simply looking good and smelling great. Whether your pet has a short or long coat, keeping your pets coat clean with regular grooming is an essential part of keeping your pet healthy and happy. When your furry kid is happy , you and your family will be happy and fun too. 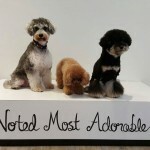 Scroll down below to see our grooming services. Our grooming packages are available to save your pocket some extra cash !